functional or programme leadership, team management and development skills. After leaving university, Richard worked in financial and commercial management at British Telecommunications plc for 25 years, followed by six years as Commercial Director at the Qualifications and Curriculum Authority. He then set up his own business, delivering management and consulting services to a range of clients within Education, IT, Energy and the Public Sector. He has been a Finance Business Partner, Programme Director and SRO in major projects and programmes, and has special expertise in developing business cases and proposals, complex supplier and collaboration contracts, and business solutions for IT and education services. 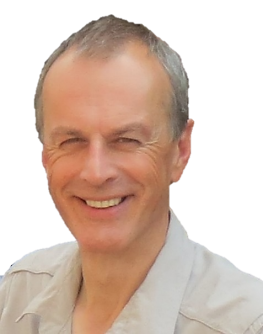 As a member of executive teams, Richard was responsible for budgetary performance and for reviewing and authorising many projects and programmes. Earlier in his BT career, Richard was a Finance Lecturer at the BT Management College, designing and delivering courses on audit, accounting and investment decision-making to hundreds of BT employees in engineering, management and operations. He has recently been an Occasional Lecturer at University Campus Suffolk, preparing an Accounting and Finance BA (Hons) Degree for launch. Richard has a BA (Hons) in Economics from Portsmouth University and an MA in Economics from Essex University. He is a qualified accountant and a Fellow of the Chartered Institute of Management Accountants. For fun, he is a long-suffering supporter of Ipswich Town FC, a 60's and 70's classic and sports car enthusiast, and an occasional runner and walker.